The Port of Oakland’s TraPac marine terminal has introduced full service night gates for truckers amidst a record season for the port. Night gates are the latest in a series of 2018 changes at TraPac. Earlier this year, the terminal opened a new entrance gate complex for harbor truckers. Next month, TraPac will complete a two-year expansion to double the size of its Oakland footprint. TraPac is the second marine terminal in Oakland to open at night for harbor truckers. Oakland International Container Terminal, Oakland’s largest, introduced extended hours two years ago. 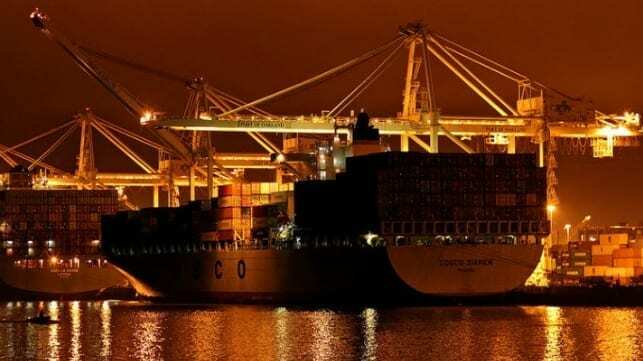 The night services come as the Port of Oakland is experiencing a record-breaking peak season. This September was the busiest for import cargo in its 91-year history, with import volumes increasing five percent over September 2017. August also saw an all-time record. Total container volume – which includes imports, exports and empty containers – is up 3.4 percent this year. If the trend holds, Oakland would break its all-time total volume record established in 2017.